Originally from Cheshire in the UK, Simon moved to China in 2005 to explore the business, social and cultural opportunities that the country has to offer. During his stay, Simon has worked with a large number of businesses and individuals helping them to understand and prosper in this fascinating and diverse country. 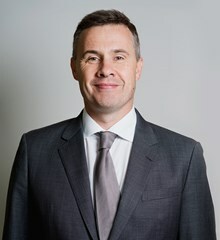 For seven years, Simon was a Director at China-Britain Business Council responsible for promoting British education across China and creating closer Sino-UK ties in education, innovation and talent development. Prior to CBBC, Simon worked as a corporate trainer delivering leadership and communications workshops for international companies and academic institutions in China. As the Director for Admissions and Marketing at BISS Puxi, Simon and his team are responsible for exploring the individual needs and aspirations of each student and, with the support of the teachers and staff, understand how each student can ‘Be Ambitious’ and reach their full potential at BISS.